ssss The hogging moment could have been considered at face of support to reduce the amount of reinforcement required. 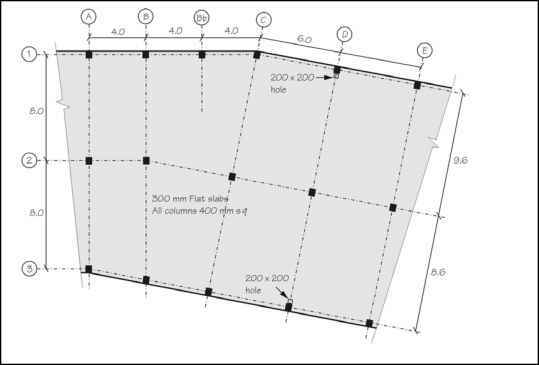 Within = 2 x 0.125 x 6.0 m = 1500 mm centred on the column centreline. i.e. require 2307 / 1.5 = 1538 mm2 / m for 750 mm either side of the column centreline.